The Sebel Twin Waters, formerly known as Grand Mercure Apartments Twin Waters is akin to a delicious slice of cake filled with exquisite flavours. 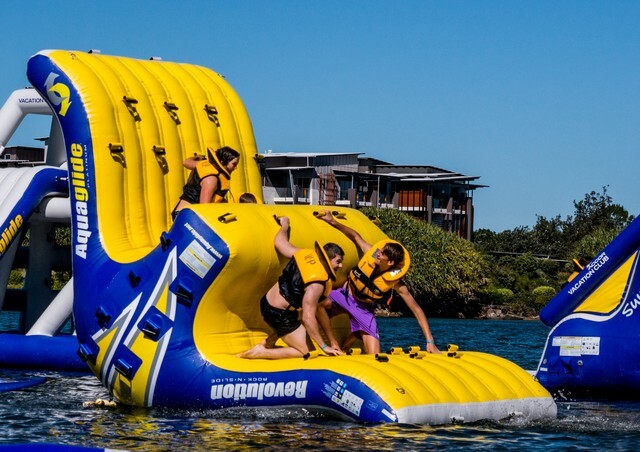 The first layer, sun-kissed white sand beaches, the second layer, 4.5 star resort, and the third layer, prime real estate in central Sunshine Coast all topped with a thick layer of icing – a huge array of complimentary activities for adults and kids! 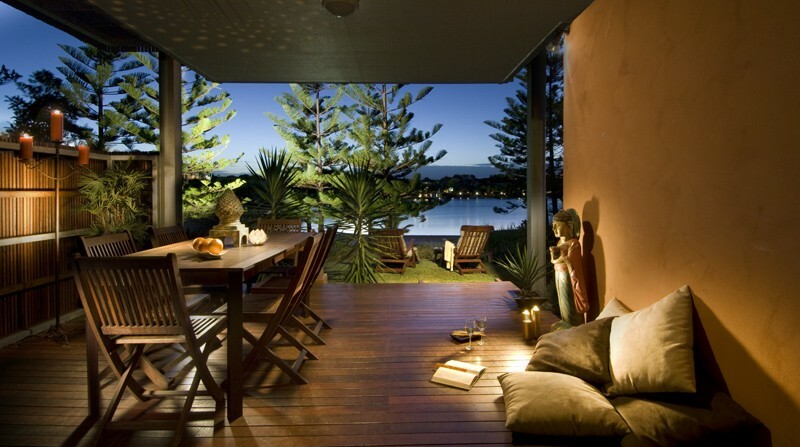 Twin Waters is a picturesque location that is unique, as it sits atop a lovely salt water lake framed by luscious bushland to one side, the Maroochy River to the other, with the patrolled surf beaches at centre stage. Grand Mercure Apartments sits adjacent to the Novotel with direct access between the properties allowing guests to easily share the Novotel’s amazing facilities. 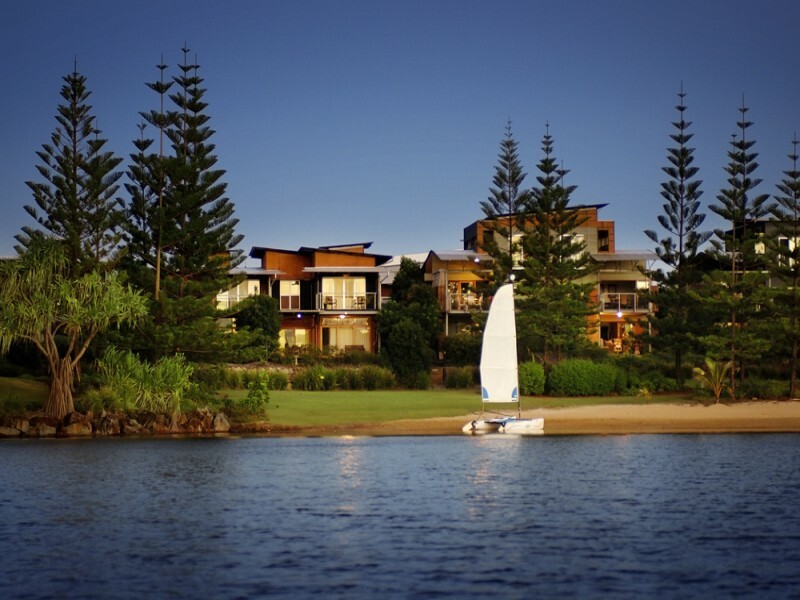 These are the only two resorts in Twin Waters making the location quite exclusive. It is not just the Grand Mercure Apartment’s rare natural setting that makes it so desirable. The lagoon is peppered with kayaking, stand up paddle boards, catamarans, guests fishing, boogie boards, pool noodles, and a huge inflatable water park. This paired with the numerous land activities including mini cricket, bush walks, Segway tours, sand castle building competitions, archery, laser skirmish, as well as many other activities is what makes this resort, and therefore holiday, a cherished, exciting, and unforgettable experience. With action packed days on (and off) the water, guests may need to venture to the Lagoon Spa for one of the several amazingly relaxing and extravagant treatments. The Lagoon Spa's signature location literally on top of the lagoon creates a relaxed ambience while offering stunning water views. Couples are offered a special treat with a romantic massage room complete with aromatherapy spa bath and chilled champagne. Want to visit this amazing Spa floating atop the lagoon but unsure what to do with your little people? Worry not! Kids Cove Kids Club operate out of the Novotel (fully accessible to Grand Mercure guests) and run two sessions morning and afternoon with an extra two sessions Friday and Saturday night giving Mum and Dad plenty of time to getaway on a romantic escapade such as an evening stroll along the coastline, followed by a couples massages, and then dinner at the gorgeous Nouveau restaurant. Or simply take some fish and chips down to the beach and enjoy on a picnic blanket while the sun sets. Grand Mercure Apartments Twin Waters is the perfect mixture of every element that makes Twin Waters extraordinary. 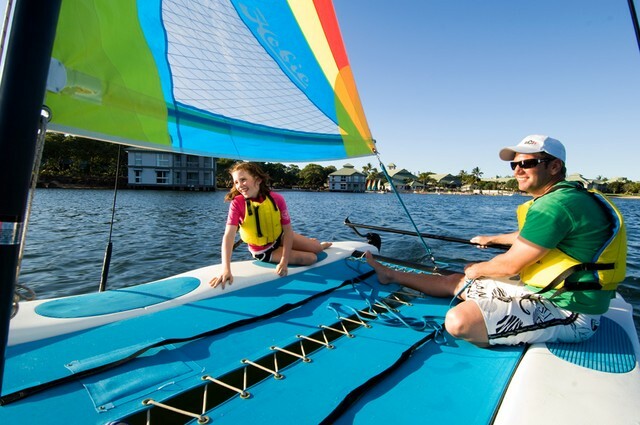 Guests can soak up the sun by the lagoon, pop a fishing rod in the Maroochy River, grab a wave on a surf beach, head back to the resort and take a guided bush walk or go for a sail on a catamaran. You can book a session at Kids Cove for the little nippers then indulge in a relaxing treatment at the Lagoon Spa before returning to your sophisticated, yet expansive and comfortable 4.5 star resort apartment. You are able to take advantage of the area's unique location and all of the activities associated while still enjoying expansive and chic resort accommodation with a beautiful kitchen and balcony perfect for creating home cooked delights. There are one, two, three, and four bedroom apartments available catering for groups and large families. 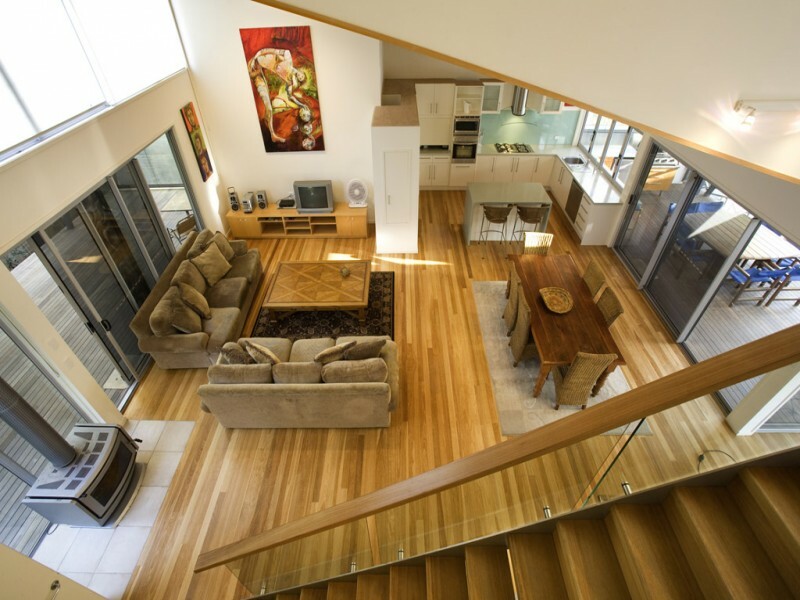 The latter of the two are spilt level dwellings – meaning twice the balcony space! Due to the Grand Mercure’s rare natural setting the resort has full 360 degree views meaning every room will have a view of the picturesque lagoon, luscious hinterland, or flowing river. The best place to enjoy this view? On your expansive wooden deck! Each apartment has a large outdoor space accessible by opening the large bi-fold doors onto the enormous space complete with table, chairs, and barbeque to prepare and enjoy meals. Grand Mercure Apartments Twin Waters is extremely unique in its offerings; settled into a picturesque nook encompassed by preternatural beauties with a plethora of activities, a restaurant, food preparation facilities, and spa - your entire holiday could easily be enjoyed within Twin Waters. 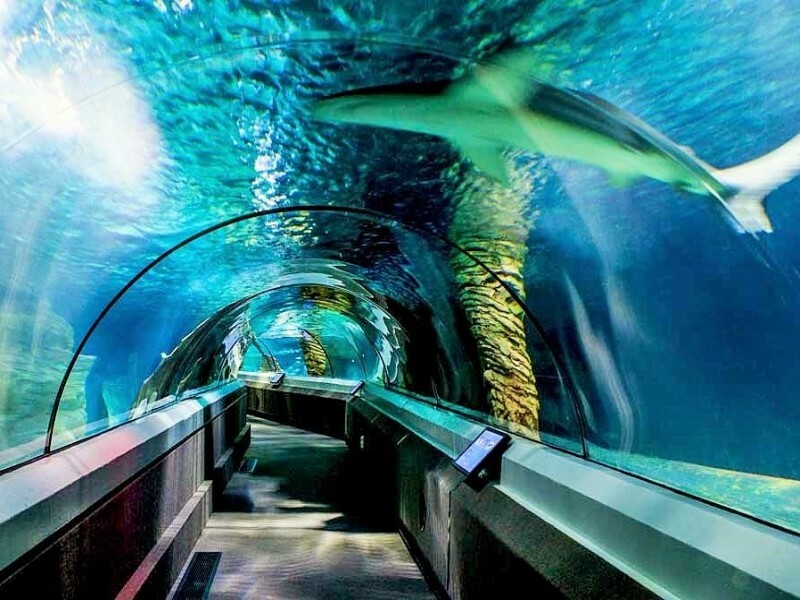 Having said this, there are several reasons to leave the sanctum that is Twin Waters; the Sunshine Coast lends itself to a myriad of attractions well worth a day trip. Visit Mooloolaba for the delicacies of The Wharf dining before continuing onto Underwater World the giant aquarium where sharks floating above your head is the norm. For another animal experience, head south of Twin Waters to Australia Zoo for an action packed day of animal encounters, photos, and shows. The Big Pineapple is a huge hit with the kids for their mini train, while the Eumundi Markets are popular for their expansive selection of fresh produce, cuisine, arts, crafts, and home wares. If you prefer your shopping with an added dash of sophistication head straight to Hastings Street post haste! As well as amazing shopping, the area is dotted with lovely waterfront restaurants and art galleries. For the men (if shopping for some strange reason isn’t appealing) there are fishing charters and a golf course to keep you occupied. Day cruises, whale watching, and guided hikes can all be organised through reception. Grand Mercure Apartments Twin Waters is the culmination of everything that is magical about Twin Waters. A mixture of luxury accommodation, family fun, and a tranquil natural environment, this is the perfect place for a couples getaway or family holiday. So why not have the best of everything, indulge in some of the complimentary activities while being able to retire back to 4.5 star luxury and expansive living, and evening barbeques on your private deck. Speak to the holiday experts at Hightide for unbelievable deals at Grand Mercure Apartments Twin Waters today.